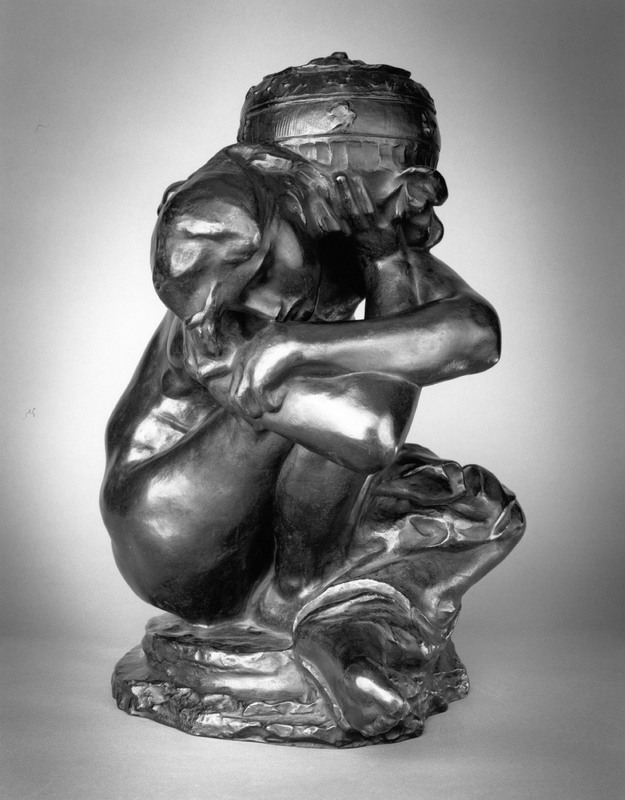 Auguste Rodin (French, 1840–1917), Fallen Caryatid with Urn, modeled 1883, enlarged 1911-17; Musée Rodin cast 4 in 1982; Bronze; Coubertin Foundry; 45 1/4 x 36 3/4 x 31 1/8 in. Lent by Iris Cantor. Presented in conjunction with the special exhibition Rodin: The Human Experience.